Last week, we introduced MassTransit and some reasons why it may be a real nice alternative to your system. This week we will review a simple use case: I will simulate a client/server arquitecture by building two console applications using MassTransit as the service bus, RabbitMQ as the transport running on Docker, .Net Core and Linux. 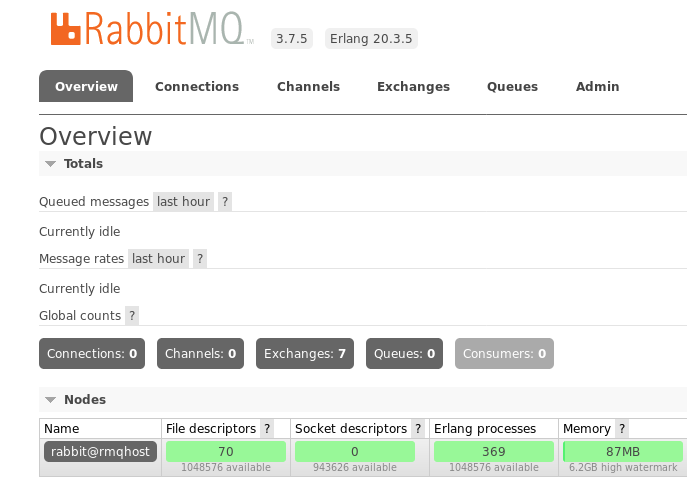 So, the first and main dependency that we have is RabbitMQ. 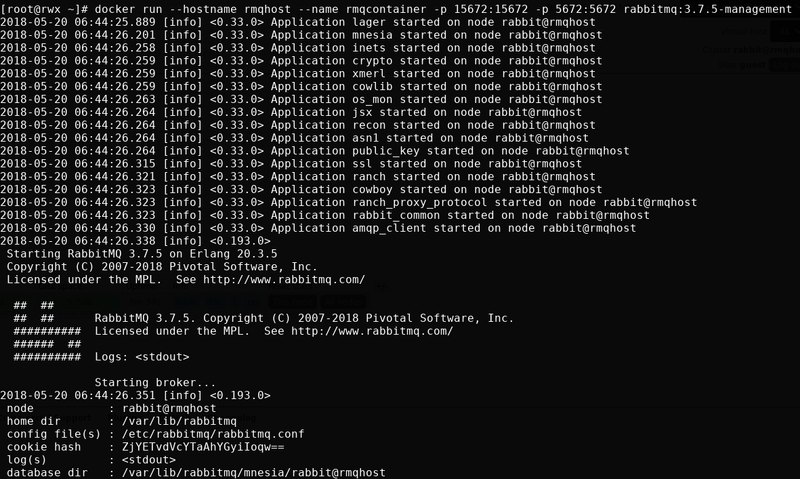 Because RabbitMQ may not be so simple to install, why not use a Docker image instead? 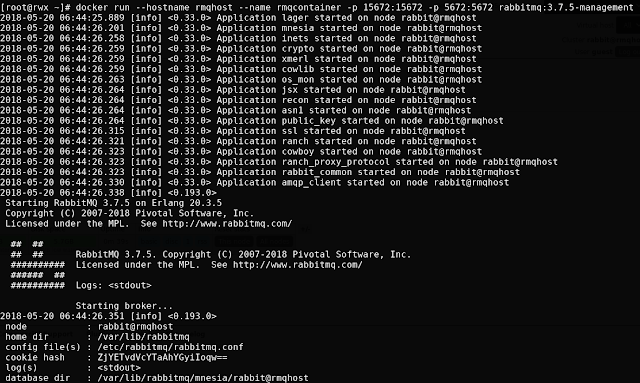 rabbitmq:3.7.5-management : the name of the image to donwload and run. 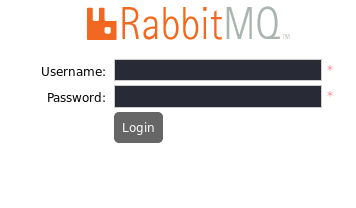 I chose that one because it has a nice UI to manage RabbitMQ in case you want to play with it. If you don't have that image yet, Docker will pull it for you and initialize a container based on the parameters above. Cool. Now that we have RabbitMQ running, let's take a look at MassTransit. Since we're building a client and a server, we also need to build a shared contract they can access. Because the client and the server may (and should) run on different servers, the common solution is to build a class library and reference it on both projects. That's it. Build that project to validate everything is ok and let's move to the client. send messages that the server recognizes. That's why we created the contract on the step above. You can initialize your client with a command similar to the one executed above. Once you have your project created, the important bits are: adding a reference to the contract project previously created, initializing the bus and publishing a message to RabbitMQ. Build this project ($ dotnet build) to make sure everything is ok but don't run it yet. We still need to build the server. Build a new console app and reference the contract project created above. So, from the above, you see that the messages sent from the client are reaching the server. Remember, those applications do not know about each other and the only coupling between them is the standalone contract project that both references. That's it! My first experience with MassTransit was a breeze. I'm very satisfied so far with my experience with this framework and will probably write a post or two more to details other use cases (mainly sagas and error handling). As previously stated, I'm analyzing MassTransit as an alternative to NServiceBus and so far, I'm happy with the results. You can also download the source code used on this post directly from my GitHub page. For more posts on .Net Core, please click here. MassTransit, a real alternative to NServiceBus? Software Engineer, FOSS Supporter and happy Fedora Linux user. Copyright © hildenco.com. Simple theme. Powered by Blogger.